My requirements for a winter break during the cold months are simple, I’m looking for a fireplace and somewhere cozy. Oh, and obviously, child-friendly. Don’t forget that. With life being so busy, the idea of a long weekend break is very appealing and I was tasked with putting together a list of some places that would be suitable for a weekend getaway and honestly, I’m now craving a holiday. One of the beautiful things about living in Cape Town is being close to so many varied landscapes, quaint villages, and historical locations. Getting away from city life couldn’t be easier and whether you want to go somewhere super chilly, somewhere near the sea, or a location away from everyone and everything, you’ll find it within 4 hours of Cape Town. Which, when you have kids in the car, is a blessing. Right, let’s pack our bags and go find the perfect place to get all cozy and content, whether it’s just us and the kids, or with some friends. It’s one of the largest wine-producing areas in the country and has all the markings of serene country life. 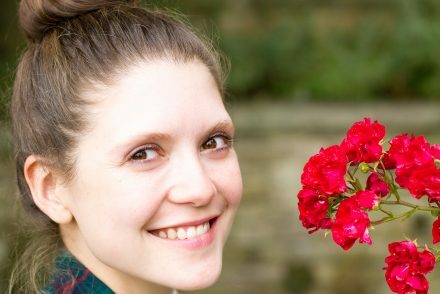 There’s plenty of outdoor activities to get involved with and everywhere you turn, you’re met with scenic views. Kingsbury cottage is set on the edge of vineyards and has two bedrooms and a sleeper couch in the office. For those prone to the cold, there is underfloor heating throughout the house and a snug fireplace. With wifi access you can still stay connected to the world whilst enjoying the beautiful views that surround you. The living room is equipped with TV, DStv, sound system and DVD player to give kids some ogling time whilst you rest. Weather dependent, a large number of birds can be spotted filling the garden and at the nearby damn you can go Bass fishing and kayaking. This is definitely a spot for older children and I had to include it because it’s such a well-created space. 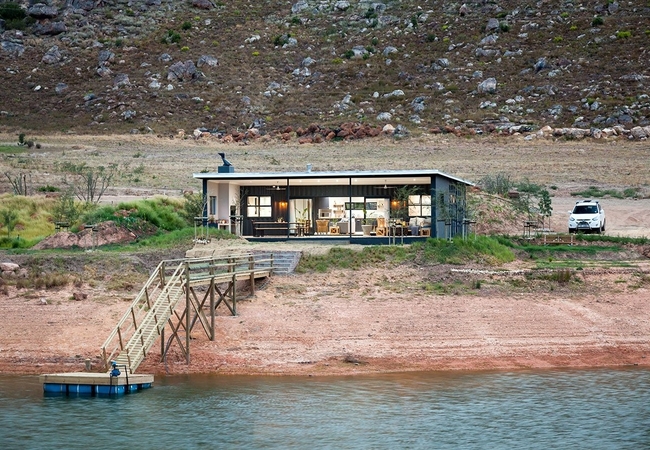 Exclusively positioned on the dam, Riverstone’s Fam Tin is a container conversion, beautifully designed and able to sleep 4 people in two en-suite rooms. Both rooms have mountain views…but the main view I care about is the one from the dining room and lounge which overlooks the mountain and the damn…where you have your very own jetty. Got pets? Brilliant, bring them with. There is an enclosed dog paddock behind the unit and you can even get a pet sitter on request…I wonder if they offer kid sitters too?! To keep the unit warm during winter, there is a wood burning stove. If rural, country living is what you’re after then the Swartland is a great choice for a visit. There are numerous farm stalls and farms to visit (wineries for the parents) and the local restaurants offer authentic, traditional cuisine – homely and filling. 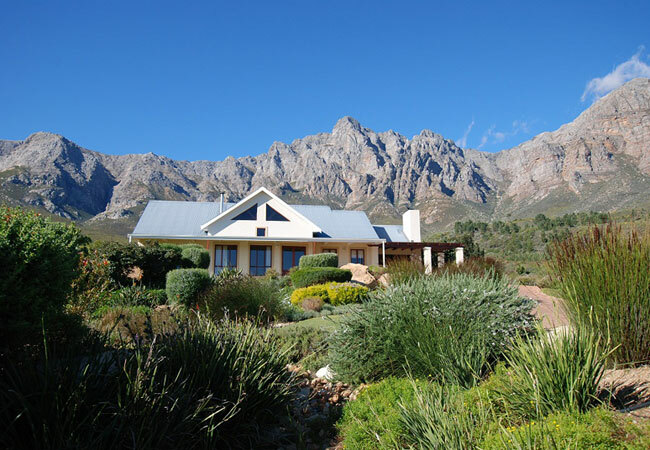 Blaauw Cottage sleeps four people in two bedrooms, so this is a comfotable, intimate option for you and the family. Each bedroom has its own en-suite. It has a well-equipped living and kitchen space leading onto a large veranda with a built-in braai. I know I’m only supposed to be talking about a winter break, but this place will be so cool in the height of summer. Just look at the gorgeous splash pool! 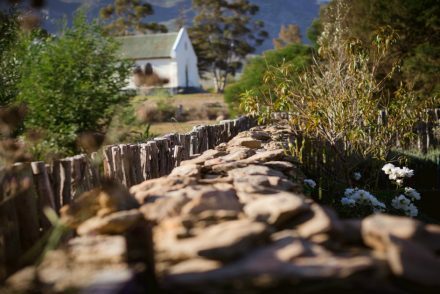 Only a 90 minute drive from Cape Town, Tulbagh is a quaint historical town which has developed into a charming tourist destination, catering for weddings, art lovers, cyclists, hikers and those who simply want to relax in comfort away from city life. I absolutely loved my stay here and I can’t wait to go back. Close to one of my favorite wineries, Saronsberg, the self-catering cottage at Raptor Rise is amazingly priced for what you get. 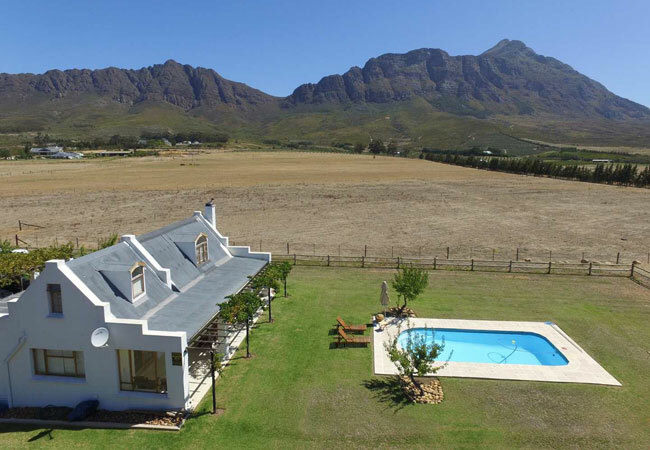 Sleeping 8 people, the cottage is enclosed with its own swimming pool and the most spectacular views of the surrounding mountains. I don’t want to use this term but, it’s “Instagram Perfect” – can’t you just see yourself enjoying a morning coffee, sitting on that porch and covered in a blanket. The space inside is great – complete with fireplace – and when wrapped up warm, the kids will love roaming around outside. Named after the Roman goddess of agriculture and fertility, it’s no surprise that Ceres is home to a multitude of farms and the November/December delight – CHERRIES! 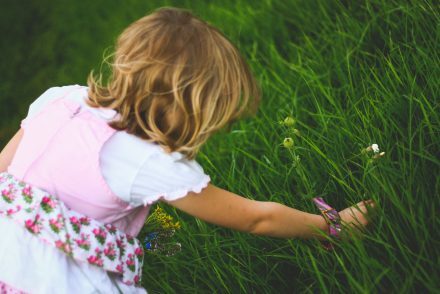 If you’re keen on doing things on your weekend break, pop along to one of the many museums in the area or be adventurous and take to one of the hiking trails. In winter they usually do get snow fall on the mountains and I’ve promised myself that my girls are going to make snow angels before they reach double digits. 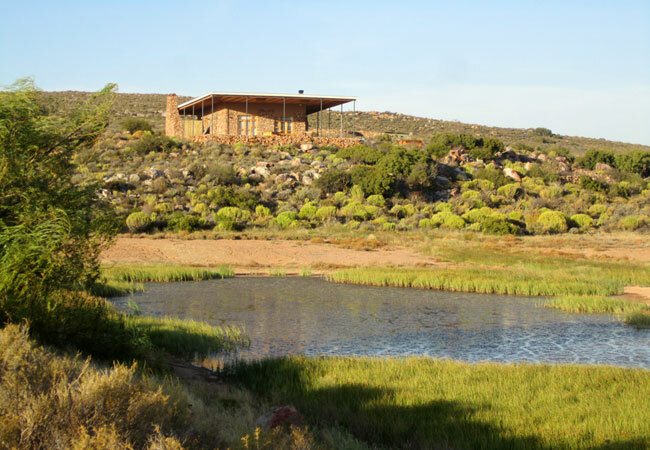 Sandkop House sits in the Sand River Conservancy with three en-suite bedrooms. There are views for miles and you won’t be interrupted by street noises or nosy neighbors. The living area is large and open planned with…yes, you guessed it, a fireplace. On the large covered veranda they have a substantial braai facility and at night, this space is perfect for star-gazing. There are nearby game reserves, the historical town of Matjiesfontein and the joy of just being outdoors. Aside from the the stellar wineries in this region, the Overberg encompasses the ever-popular towns of Hermanus and Gansbaai which are known for Whale and Great White Shark spotting. Hemel-en-aarde, Elim and Stanford (they have great cheeses) are beautiful areas to explore and for unspoiled beaches, Witsand is a winner. 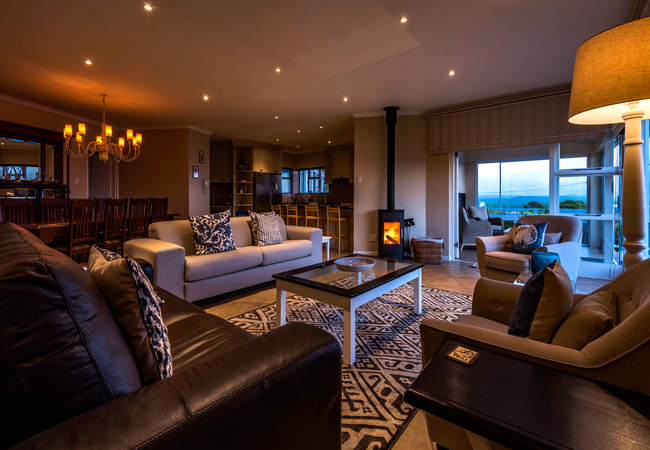 With both mountain and sea views, Home with a View is the perfect holiday accommodation. It’s self-catering, is only 120km from Cape Town and is close to Hermanus town centre and Grotto Beach. 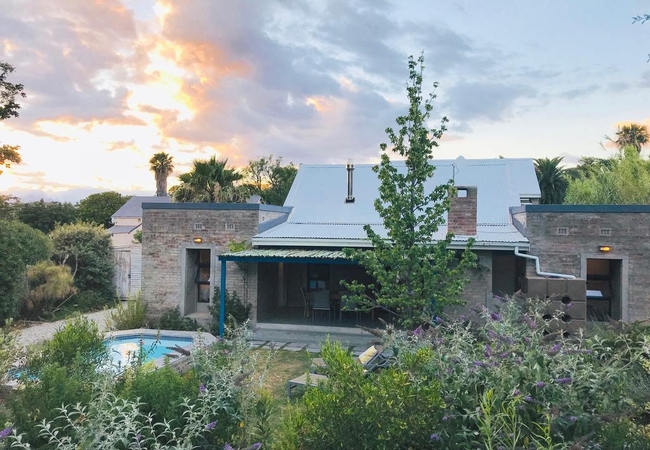 Either rock up with just the kids and a partner or invite another family because the house sleeps 7, with three bedrooms…all with their own bathrooms. There is a fireplace in the lounge. Obviously. And the place has got games, a DVD player, TV and wifi. It feels weird even mentioning this but for family life, I prefer to go away somewhere that has proper washing facilities and a dishwasher, which Home with a View has. It really is a home-from-home.